Concrete batching machine can work for the capacity of concrete mixer bellows 3000L. The weighing system of concrete batching machine adopts weight control instrument and sensor, which can be used for quantitative, batching and control of materials. 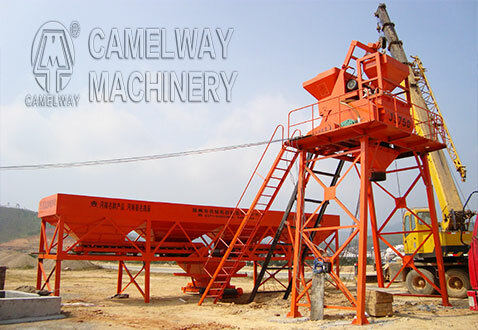 Zhengzhou CamelWay Machinery concrete batching machine has the advantages of reasonable arrangement, compact structure, easy operation, accurate proportioning, reliable control and so on. Zhengzhou CamelWay Machinery manufacture has an extensive user base in the country, enjoying a high popularity. The company specialized in the production of concrete mixer. Today, we will introduce our grand models to you –JS recommend a compulsory mixer. If you want to know more information about the concrete mixing station or buy it, you can contact us. This entry was posted in Solution and tagged concrete batch plant by camelway. Bookmark the permalink.